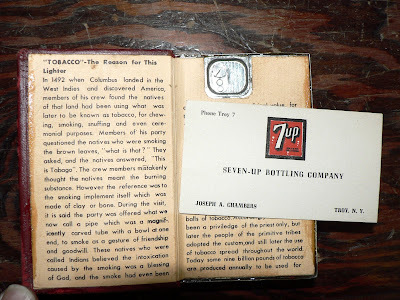 i love this -- brings a whole new meaning to the term "altered book." now i'm going to want one, too. I had to check if there was one on eBay - there is! Hm, that one is in really nice shape - and in original box! 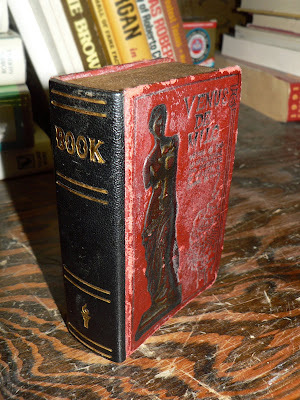 I love that it says "Book" on the spine. Not left blank, but nothing creative about a title either. 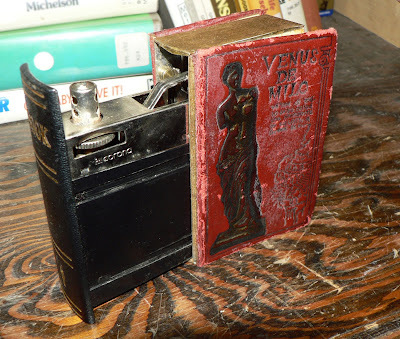 My younger brother-in-law made himself a book 'safe' (hideyhole) when he was in high school, so I'm familiar with those, but I've never seen a book lighter! This is beyond awesome. Now we just need one that is secretly a flask and we'll be set!